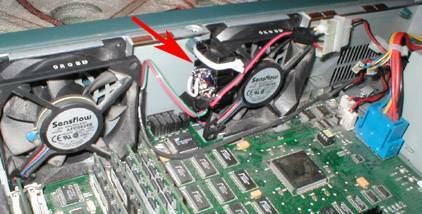 The 3640 has 3 fans: two 80mm case fans at 24V and one 60mm 12V fan inside the power supply. One is replaced the other two are voltage reduced. 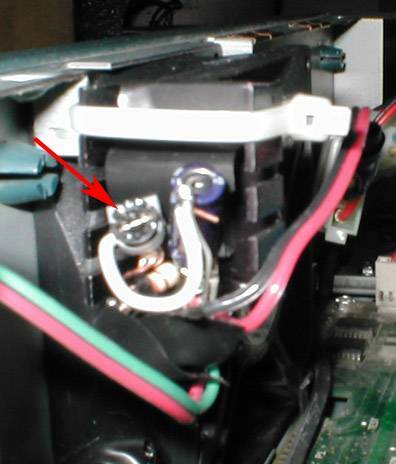 The power supply fan is a 60mm Delta 12V 19 CFM fan at 28 dbA. Replaced it with Vantec Thermaflow 9-24 CFM at 19-33 dBA. While this fan could be louder that the original fan, it is a variable speed fan based on temperature. It rarely kicks into high speed and runs almost all the time at 19 dBA. I have only noticed it in high speed once and it ran for 2 to 3 minutes before reducing speed. Assemble and attach to the fan with a cable tie. Adjust it with the trimmer to the highest fan rate with a noise level that is acceptable. It turns out that this is at +15 Volts output for me (used a multimeter). Each fan draws only 1/3 of an Amp (@24 V) so a LM317 can handle the load (maximum of 1.5A) of both fans. Since this is so close to +12 volts , you could just get the pre-set +12V volatge regulator (cat. no. 276-1771) for $1.49 and add the TO-220 heat sink from above for another buck. Use that to reduce the voltage (but not adjustable now) or just replace those 24V fans with 12V ones such as the Directron Silencer. This has a maximum output of 1 Amp, so we are still OK running both fans.